Chaka Khan, the 62-year-old singer, is speaking up about praying for Bobbi Kristina Brown. Bobbi Kristina, the daughter of late singer Whitney Houston and former R&B star Bobby Brown, has been hospitalized since Jan. 31. Bobbi Kristina, 22, was not conscious after she was found in a tub in the Georgia home she shared with boyfriend Nick Gordon. Khan was good friends with Whitney Houston, who died facedown in a bathtub four years ago, with cocaine in her system. Now that some media speculation has been questioning if Bobbi Kristina will suffer the same fate as her mother, Khan says she has been in contact with the devastated family. "I can't say I was shocked... But I was definitely hurt, disappointed. I've been in conversation with the family," she said in a Mirror UK Online report. "Everyone's devastated, everyone. I love Bobbi Kristina, I love Whitney, I love Bobby Brown. I love Cissy – I love them all." Khan said she believes the best thing she can do at this time is pray. "But we just have to wait for what happens next. All I want to do is be there for them," she said in the Mirror Online report. "I just need to pray." 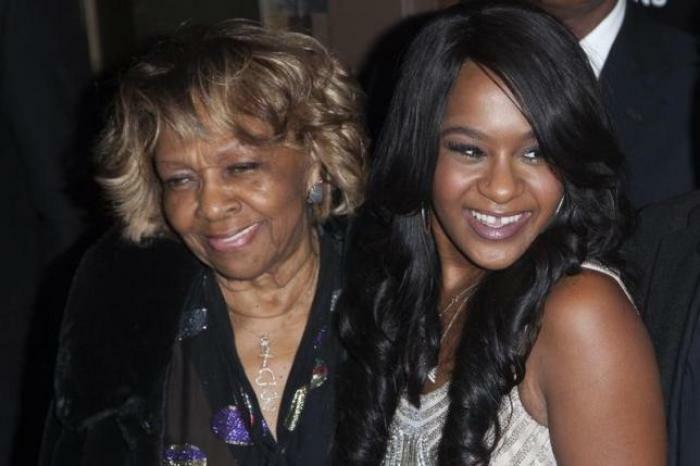 Cissy Houston, the mother of the late singer Whitney Houston and grandmother to Bobbi Kristina Brown, called for prayers for her granddaughter publicly last week. "She's the same. We've moved her to a place for rehabilitation," Cissy said on WBLS. "And you know, still not a great deal of hope. [We're] still praying." Cissy went on to call to others for prayer. "I give it to God one time, because I know he's able. And I cannot change a thing," she said. "I'm asking everybody: 'Just pray to the Lord who we know can do something about it." The grandmother is hoping for a miracle and is putting her faith at the forefront of the matter. "If he works a miracle, thank God," she said on the radio show. "If it happens the other way, I'm all right."